Semi-formal and eye-catching elegance is the name of the game, says Aguafina Script. Graceful, but not too casual. Knowledgeable and artistic, but not too imposing. The characters flow into each other, making a very saucy script with appetizing color. The narrow lowercase allows for efficient use of space, while the long ascenders and descenders help maintain the legibility. 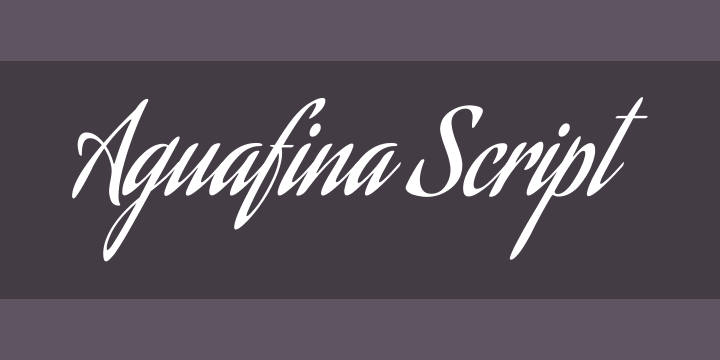 A unique find among scripts, Aguafina is useful for product packaging, glossy magazine work, and book covers.